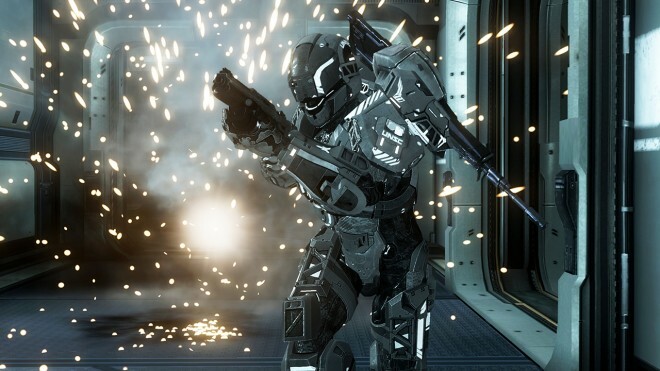 This Monday, 343 Industries is spicing up Halo 4 with some brand new game modes via the latest matchmaking update. Voted by the community last week, Rumble Swords will be added to the Rumble Pit playlist, giving players the option to brawl it out with nothing deadly Energy Swords. Also tagging along is a brand new game mode the studio likes to call Medal Madness. Halo 4 multiplayer designer “TTL Laskan” describes it as “a 4 vs. 4 team game type where each side works to collect the most of a requisite medal in a one-minute time period, which we refer to as mini-rounds”. “The team that collects the most of said medal will win the mini-round and earn a point. The first team to earn seven points (by winning mini-rounds) wins the match,” Laskan says, adding that each mini-round will shift player traits to better facilitate the earning of medals. For example, mini-rounds tasking you with getting Double Kills medals will adopt settings similar to that of SWAT. Heading over to Halo 4 this Monday to see what all the fuss is about?